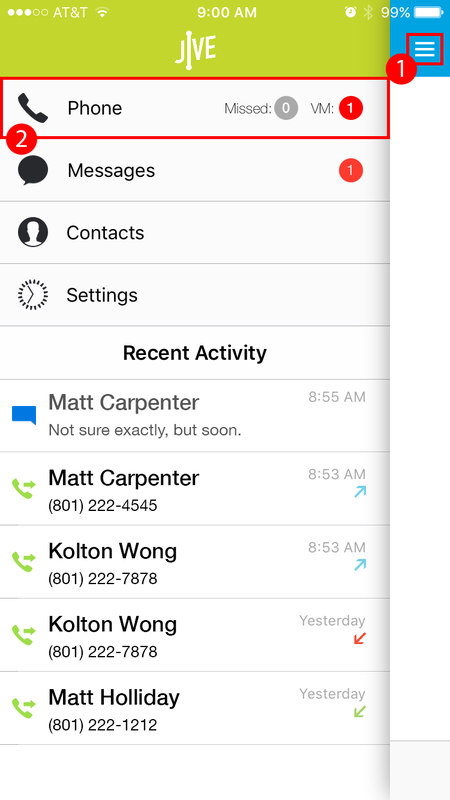 Tap in the upper-left corner to access the app switcher. 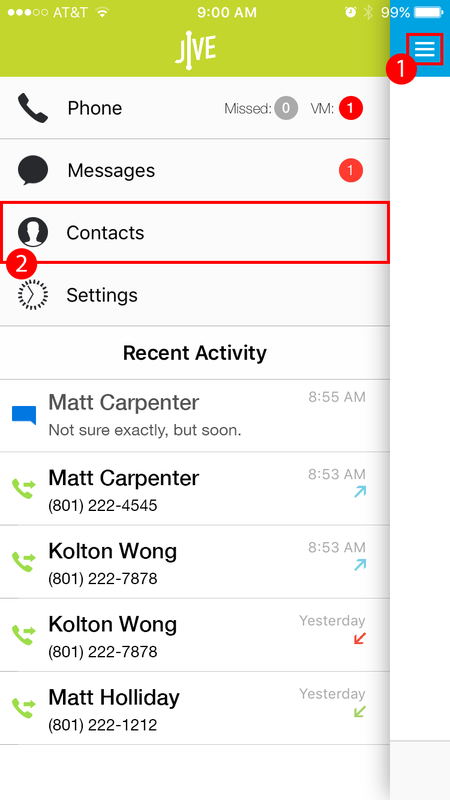 Tip: As you enter an extension or number, contacts that match your entry will appear below (swipe to see more results). Tap any result to instantly call that contact. If you want to initiate a video call, press the camera button. If the other party accepts the video call, video should start streaming. Tip: If you want to switch from audio to video on an ongoing call, press the "start video" button. Hit "stop video" to switch back to an audio-only call. Tip: Hit "toggle camera" to change between front and back camera views. Browse for and tap the desired contact. 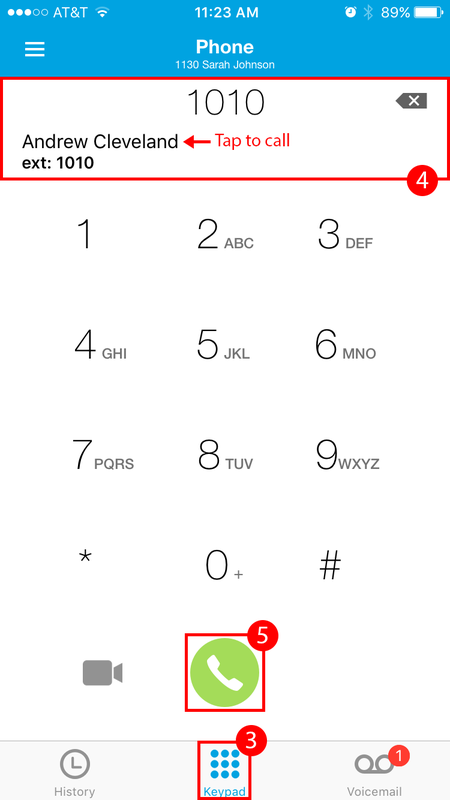 Tap the number and corresponding icon you'd like to dial, chat, or video call for the desired contact to call. Note: You can only video call someone within your own PBX. 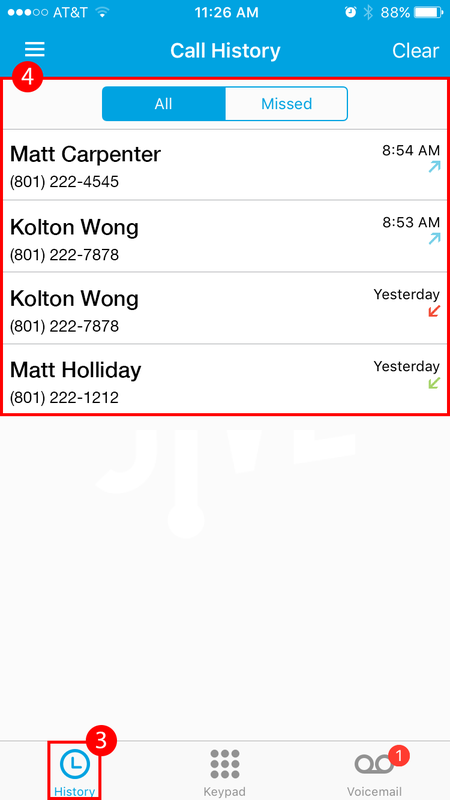 Example: You cannot video call a Verizon number from your Jive Mobile app. Browse for and tap the desired extension/number.